I’ve found that I’m more motivated to run when I’m aiming for something. It’s logical really – you run because it all contributes to your overall goal. It also helps you to measure your progress. Of course, my big focus at the moment is the Paris Marathon. I’ve got my eye on the Bath Half Marathon as my pacing event prior to the 26.2 miler, but beyond that I need to get some more races lined up. There’s a general formula to apply to how frequently you should race. One day off racing per every mile you raced. That means I shouldn’t attempt a race until May after the marathon. However, getting something booked in will be essential to avoiding a feeling of stagnation. And so, with a provisional date of 16 May 2010, the Oxford Town & Gown could be my first post-Paris race. 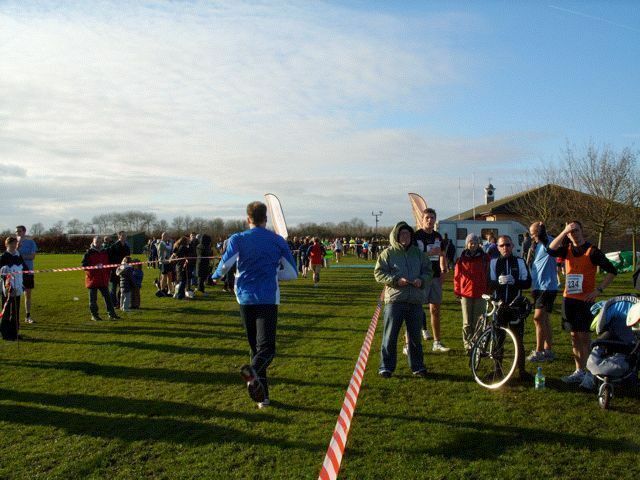 It’s massively popular as a fun run (with chip timing, which makes it popular with the clubs). But it’s also lacking some of the consistent organisation that would lead it to become a great race. For a start, it’s not yet listed on Runner’s World. Its dedicated website changes URL each year. Although it’s organized by Muscular Dystrophy, there is no information on a forthcoming race. As a major fund-raising event, the race should be more consistently publicized. In the meantime, I’m considering organising a Team Pearson to run the race. We just need four (or more) willing individuals. Who knows, it could introduce some new people to the joys of racing.